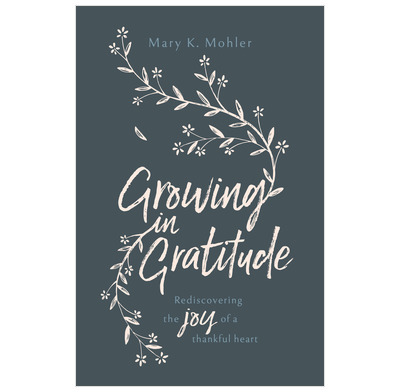 This thoroughly Bible-centred unpacking of the reasons for gratitude builds on Mary K. Mohler's 25 years experience in mentoring seminary wives at The Southern Baptist Theological Seminary in Louisville, Kentucky. Growing in Gratitude gives fresh and carefully applied insights into a familiar topic. The up-to-date observations (e.g. the impact smartphones are having on our social interactions) coupled with well explained quotes from historic giants in the faith make this a very helpful and timely reminder that we have every reason to be thankful. It was a real joy to listen to Mary's wisdom from years of learning thankfulness. There is helpful application throughout and I loved the fact that she encouraged us to stop and pray, putting into action what we're learning. Each chapter has just two study questions at the end – a valuable and manageable tool to help us think further, or study with friends. I found Mary's chapters on hindrances to gratitude fresh and insightful. I have been challenged by her shrewd observations, and genuinely can say this book has helped me to be growing in gratitude.